The ongoing search for an actor to play Freddie Mercury is closing in on its target. The troubled biopic has struggled to find a candidate who can satisfy the demands on the surviving members of Queen, but it seems that Ben Whishaw might fit the bill. Initially Sacha Baron-Cohen was attached to the project, but the Queen members were worried that Baron-Cohen's portrayal might make the late Freddie seem comical, camp and overblown (because, of course, that was just not what Mercury was about). Dominic Cooper was ruled out, reportedly because Queen were worried that he couldn't do tenderness. More recently, ridiculous rumours suggested that Harry Potter, aka Daniel Radcliffe, could bring a kind of magic to the role. This seemed the most unlikely piece of casting imaginable. Whishaw is a more credible candidate, having shown a commendable talent for the sort of mannered campness that characterised Mercury's public persona. It's not quite a done deal. Queen drummer Roger Taylor was coy when he appeared on the BBC's One Show. Asked if their choice for Freddie had the initials B. W, Taylor said: "Well, we hope so." We can probably rule out Bruce Willis, which means Whishaw must be favourite. Whishaw is apparently looking at a script right now, although which script is difficult to know. Queen seem to believe that Baron-Cohen's vision would have betrayed the memory of their late frontman, although they had no such qualms about raking in the royalties from Ben Elton's stage travesty We Will Rock You. Whishaw may have some empathy with one aspect of Mercury's character. The singer never made his homosexuality overt, although it would have been a particularly slow-witted rock fan who missed it. 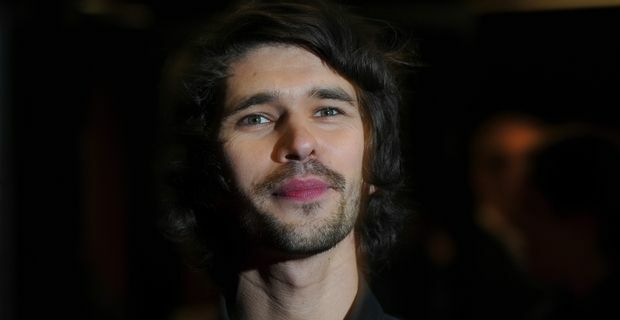 Whishaw has also been reticent about his sexuality, saying, "For me, it’s important to keep a level of anonymity. As an actor, your job is to persuade people that you’re someone else. So if you’re constantly telling people about yourself, I think you’re shooting yourself in the foot."